I think beef is intimidating for me because it definitely has its own unique flavor. Chicken is just such a great blank canvas. Beef is already the whole painting. This recipe is a very welcome change from the pot roast recipes of my past. I hate pot roast (normally) because it was either too bland, too fatty, or too tough. 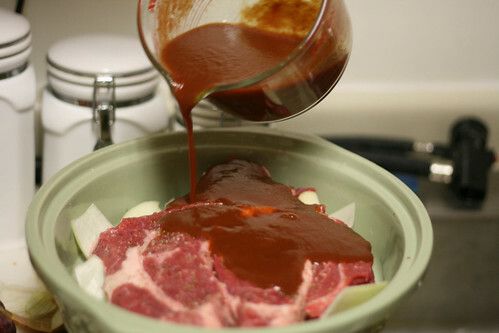 This marinade does so much for pot roast! 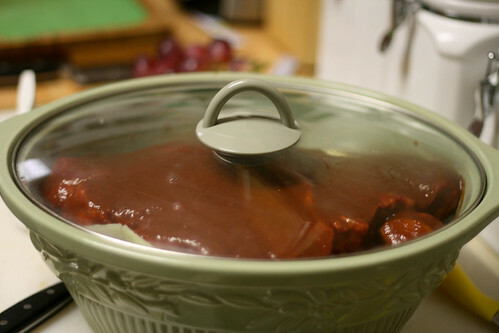 It gave it a great, bold flavor, kept things incredibly moist, and created a really hearty sauce for serving. Waaaaaaay better than gravy! You might think that coffee and beef don’t go together (kind of like caramel and salt), but you’re wrong. They complement each other perfectly, bringing out the savory quality of the beef without tasting like bitter black coffee. And don’t even get me started on what it does to the vegetables in there! I could almost eat just those. The beef is like the icing on the cake. Or, the beef on the vegetables? 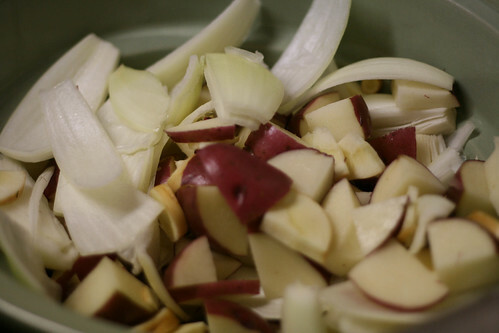 Place chopped vegetables and 1/2 cup coffee in a large slow-cooker. Set the beef on top and season generously with salt and pepper. 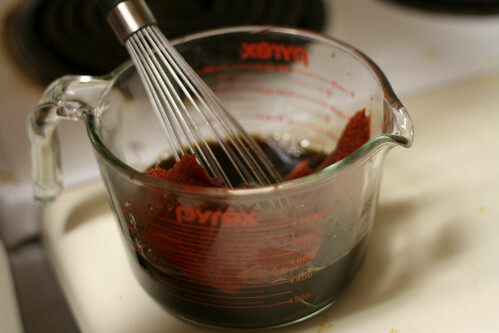 Whisk 1 cup coffee, brown sugar, and Worcestershire sauce. 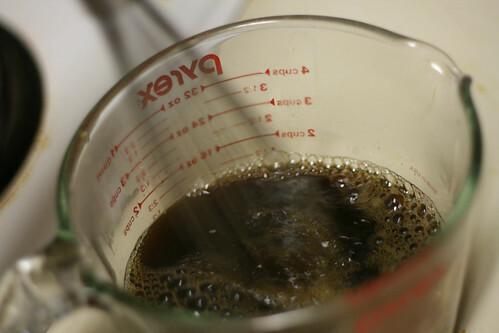 Stir tomato paste into coffee mixture to combine. 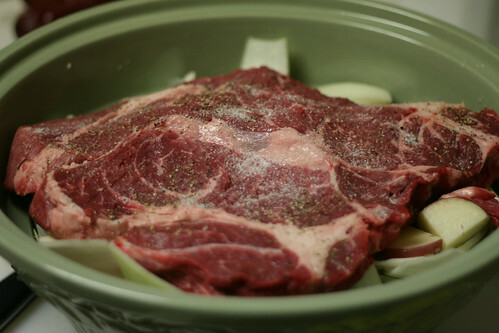 Pour the coffee mixture over the beef and vegetables, then cook (covered) on low in the slow cooker for 7 to 8 hours. We didn’t add any water throughout the day because we were at work, but if you’re home you can keep an eye on it and add as necessary. Serve with country bread (any whole grain, dense bread). It was pretty exciting knowing that dinner would be done as soon as we got home. Very minimal effort, and very minimal dish washing! And our whole house smelled amazing. I got a knife to slice into the beef, and didn’t even need it. It literally fell apart. I only wish I would have known about this all winter long! C’est la vie. There’s always next year. What foods could you eat over and over? Are there any foods that you just can’t eat any more? This looks and sounds wonderful, Jo! 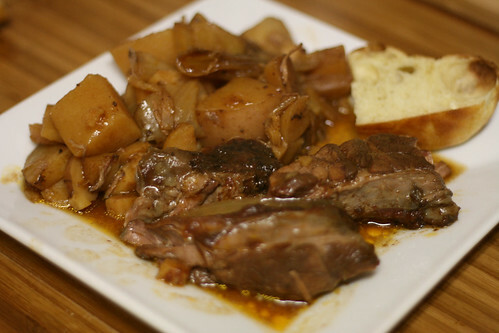 I’ve bookmarked the recipe to try it just as soon as a get a new slow cooker. I gave mine to a former co-worker who needed one. This looks wonderful! I will be trying it for sure. And, since I love salted caramel I am certain I will love this too. The salted caramel cups have been a huuuuge hit in our house! You’ll have to let me know how they turn out.